Marvel Studios is fantastic. There’s no doubt about that. They single-handedly brought the term “shared universe,” to movies. Most of their movies are pretty great. And they have made some really smart decisions, including dropping Joss Whedon when one of his movies didn’t work (Avengers: Age of Ultron,) and replacing him with the Russo Brothers who have so far made two of the best superhero movies around (Captain America: The Winter Soldier and Captain America: Civil War.) People talk about the best trailers of the year and they mention Logan and Wonder Woman, but those two are hardly the best. The same can be said of the Spider Man Homecoming trailer (which is Marvel, kind of. More to follow on that.) The best trailers so far have been the Thor Ragnorak trailer and the Black Panther trailer. Thor Ragnorak could not have a cooler ending than what it shows us, in the arena. Not to mention the 80s vibe of the entire trailer. And with Black Panther, we are talking about a trailer that is pitch perfect, from the opening conversation between Andy Serkis and Martin Freeman to the closing flip over a car and title. Marvel is just hitting it out of the park in every way. And now they’ve got Spider Man. Sort of. There was a deal made, about two years ago, between Marvel and Sony. Marvel has the Avengers and the entire MCU (Marvel Cinematic Universe.) Sony has Spider Man. And Sony wasn’t doing so great with the character. 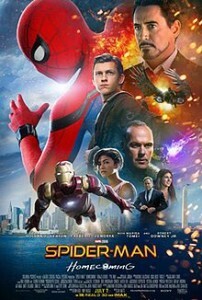 They dropped the ball with the last Andrew Garfield movie, (the film wasn’t terrible, but they sure could have done a better job with the villains,) to the point where that incarnation got cancelled entirely. And that was the second version of Spider Man in about a decade, (the first was a trilogy with Tobey Maguire.) Sony looked at the success that Marvel was having, looked at how they really didn’t have any other characters or places to go, (unlike Fox, for example, that can fall back on the X Men movies every time one of their Fantastic Four movies / attempts falls short, Sony has only got Spider Man and his villains,) and so Sony made a deal with Marvel. The deal was that Spider Man could be licensed to Marvel to be used in their films. The deal was that Marvel and Sony together would co-finance a Spider Man movie, but that Sony would reap in all the profit. Basically, Sony looked to Marvel to give them guidance on how to get Spider Man right. And Marvel offered up a number of things in return. First, they put Spider Man in one of their big tentpole films (Captain America: Civil War, which was more like an Avengers movie than a Captain America film.) Then Marvel offered Robert Downey Jr’s Iron Man to be in the new Spider Man film, to the point where both Spider Man and also Iron Man are on most of the posters. And it really should have ended there. It should have been a sort of even swap where Tom Holland as Spider Man would appear in Civil War and Downey Jr as Iron Man would appear in Spiderman: Homecoming. But the studios aren’t looking at it that way. They’re not trying to keep things simple, or even fair. Instead of Tom Holland being Sony’s Spider Man, Tom Holland is considering himself Marvel’s Spider Man. That means in interviews, he has stated that he’s got a ticket now in the Marvel Cinematic Universe, and he’s not giving that up for anything. Not that Holland, the actor, really has any say in this matter, but it’s more indicative of the situation than anything else. The situation is that Tom Holland as Spider Man belongs to Marvel or to the Marvel-Sony merger. And here’s the catch, he cannot appear in a Sony Spider Man movie that Marvel doesn’t want him to. Now, that’s the deal that was made, and it seems straight forward. It’s a no brainer why Sony would agree to it, thinking, “well, yeah, so they just need to approve of our movie that we want him in, and if they want some changes and tweaks made, then we’ll make them, but that’s about it.” Not so simple. You see, Marvel Studios is a bit of a bully and Sony is learning about that the hard way. It’s time to start mentioning some of the other players involved here. The president of Marvel, and man behind every Marvel deal and movie, is Kevin Feige. The producer of Sony’s Spider Man films is a woman named Amy Pascal. These are the two people behind the studios who basically brokered the deal. With Spider Man Homecoming on its way out, and great word of mouth and early buzz, Pascal started thinking to the future. 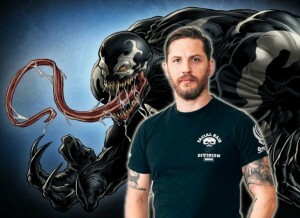 So they announced a Venom movie which would be R rated and would star Tom Hardy. Pascal thought she would be getting Tom Holland’s Spider Man in there too, not to star or anything, but at least to appear and show the world that the movies were connected. About a week ago, in an interview with her and Kevin Feige, she made comments to show that this was the plan. At least that’s what she thought the plan was. Then, a week later, Kevin Feige clarified the situation with a big fat “No Way.” Looking back on the Amy Pascal – Feige interview, where she seemed so enthusiastic, reporters recall that Feige was looking off in the distance, avoiding eye contact, and has a confused and disagreeable look on his face when Pascal was making her comments. Now we know why. It was only after Feige spoke up and told the world that Tom Holland’s Spider Man would absolutely NOT be in the Venom movie, or connected to that Sony Cinematic Universe that Holland spoke up about his ticket in the MCU. This kid clearly knows who he should be kissing up to. What’s happening here is Marvel is pulling the carrot on a stick situation and dangling it in front of Sony’s face. They’re saying we will help you make these Spider Man Homecoming movies, and you can keep all the profit, but don’t even think about taking this Spider Man, that we helped you create, and putting him in one of your other movies. And to a certain to extent, they might actually have a point. If Marvel has worked hard to help Sony get this character right, they don’t want Sony making a lousy movie and tarnishing this actor / character incarnation’s reputation. I get that. They want to make sure that if they agree to let Holland be in a Venom movie, than the movie better be good. And that’s where the not sharing well comes in. Marvel should help Sony oversee the Venom movie, the same way they are helping with the Spider Man movie. I’m not saying they are obligated to do this, but if they are going to veto Holland from being in the movie, then they should at least offer to help. It should be either let him go or tell Sony what you would want in order for you to feel comfortable letting him go. And that leads to the question about Marvel’s end game. What do they want from all this? They wanted Spider Man and they got him. They obviously want the Homecoming movie to do well, since Spider Man will next appear in Marvel’s Infinity War films . But it seems like they don’t really care about the Venom movie at all, and maybe even don’t want it to succeed. In the end, Marvel wants other studios that have the rights to their characters, walking their characters back to Marvel studios with their tails between their legs, the same way that Sony did, (I’m looking at you, Fantastic Four.) That’s where the bullying angle comes in. Marvel should be happy with their success, happy that they got Spider Man and got a say in how to reboot the character and get it right, and that should be the end of it.